AUSTIN, TEXAS - The excitement and anticipation were palpable as Kristen Trevino of Austin, TX, prepared to experience a cutting-edge system designed to relieve her stress and grief. 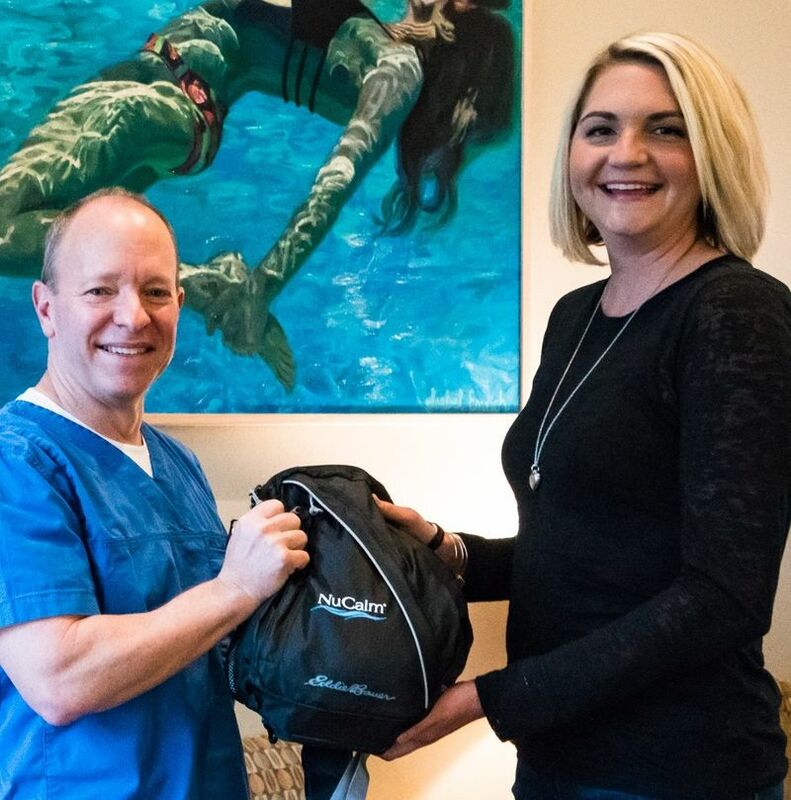 Presenting Kristen with her own NuCalm system was her dentist, Dr. Michael Nussbaum, who had been struck by the enormous pain and suffering that she and her two young children experienced in recent years. For three years, they watched as her husband/their dad, Trey, was diagnosed with an aggressive and rare form of cancer and underwent months of chemotherapy and surgery. Sadly, Trey died last Spring. Dr. Nussbaum selected her as his practice’s first recipient of her own high-tech NuCalm stress-relief system (valued at $4,300) at no charge. The presentation occurred at his office, 3660 Stoneridge Road, Austin.